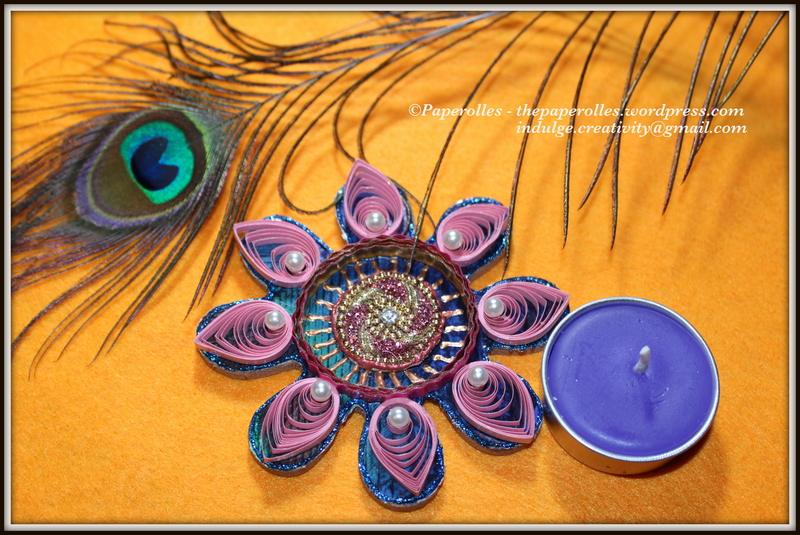 Festivals in India are marked by bright lights. 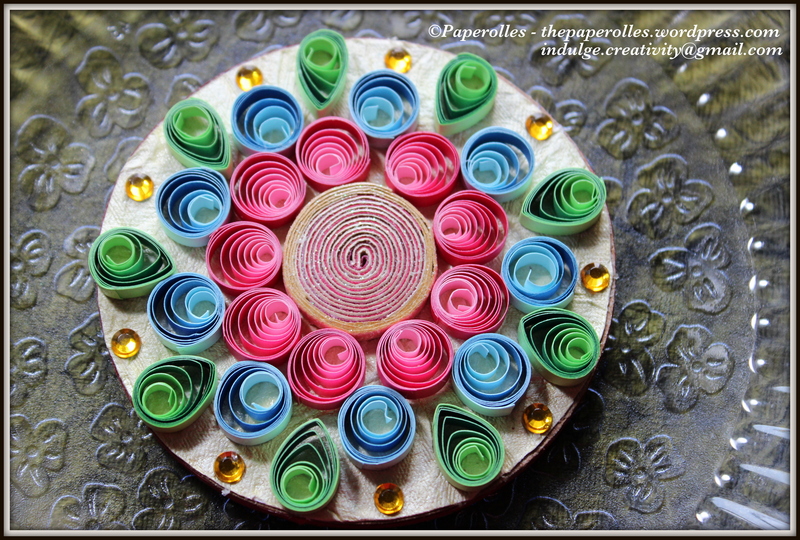 Festivals like Dusshera and Diwali spiritually signify the victory of light over darkness. 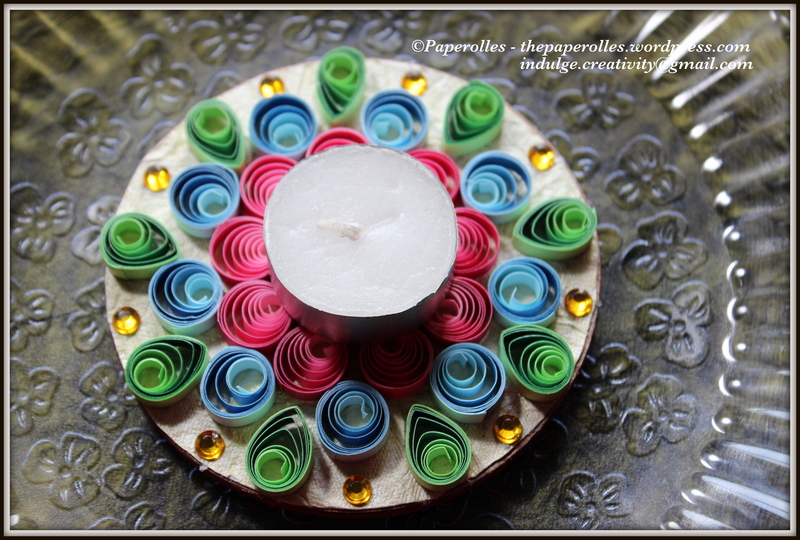 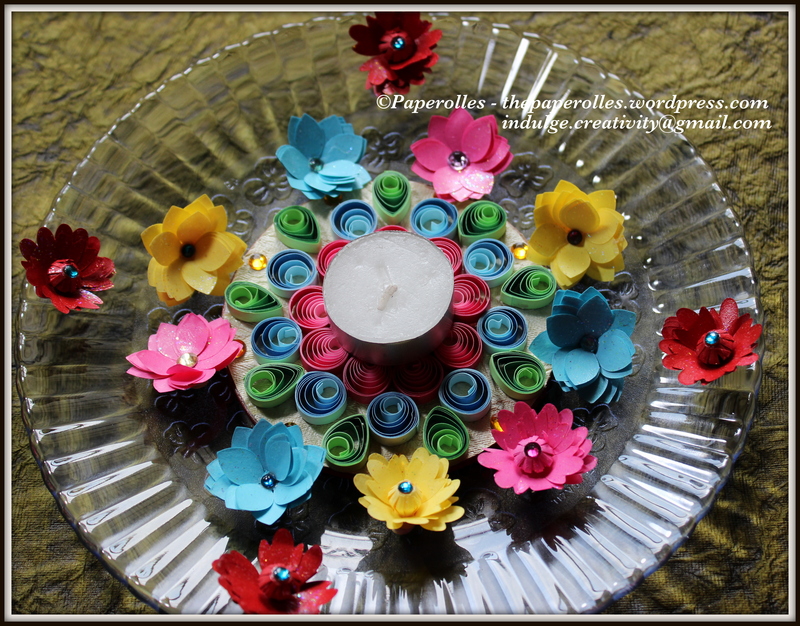 Here are a few quilled Diya (Lamp holders) that I put together. 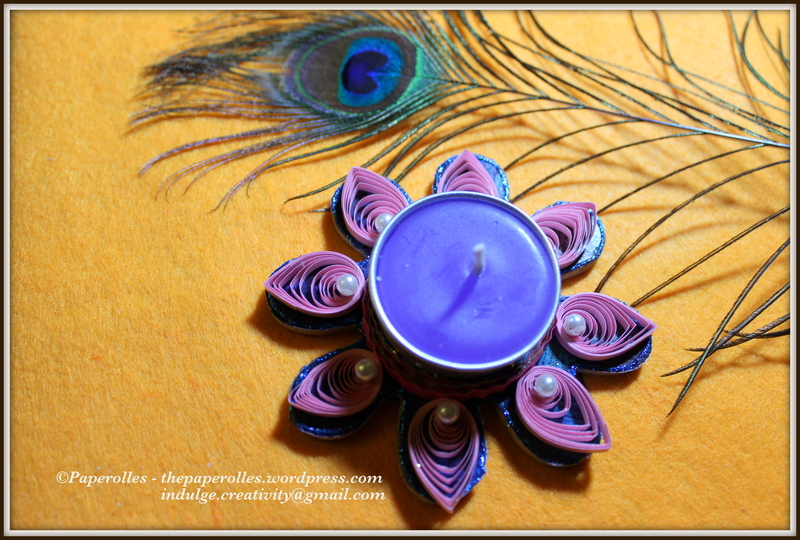 These quilled Diyas can be used to light up your houses during festivals, can adorn your puja or may be gifted to loved ones for special occasions.